R = The rate of star formation in the Milky Way ~ 6x5/year = 30/year, taking account for higher rate 5 billion years ago. 2010 Update : The new number is about 10 including some M stars and excluding higher rate of formation. Fp = Fraction of such stars with planets ~ 0.1, according to the latest search for extraterrestrial planets. 2010 Update : Recent observations infer that about 90% of all stars have plants. Ne = Number of habitable planets ~ 0.2, estimated from warm dust around stars. 2010 Update : It is at least 4 with the new evidence of water on Mars, Europa, and Enceladus. Fl = Fraction of hospitable planets that have life ~ 3/8, including Earth, Mars, and Jupiter (Europa) among the eight planets. 2010 Update : The original number of 1 (by Drake in 1961) has been solidified in the intervening years. Fi = Fraction of arisen life where intelligence develops ~ 1/3, as intelligence life only exists on Earth among these 3 planets. 2010 Update : The original number of 1 (by Drake in 1961) is preserved by recent investigation. Fc = Faction of intelligent life that develops communications technology ~ 1.0, by observing our own technology development. 2010 Update : Drake and others now favor 1 instead of 0.1 estimated previously. L = The 'lifetime' of such intelligent life ~ 100 years, as we have been broadcasting for around a century. 2010 Update : This number is the most uncertain term in the Drake Equation. No new estimate is given. Milky Way that are currently broadcasting detectable signals. These chosen numbers are the lower limits and worse case scenarios. For example, a techno-logical civilization could last for 1000 years or more, dramatically increasing the value of N. Figure 09-19b depicts the parameters of the Drake equation in a pictorial form. 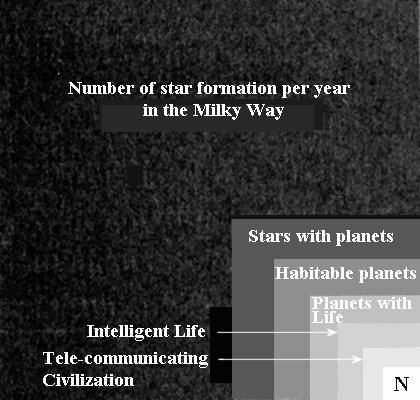 The diagram in Figure 09-19c illustrates the stringent requirements in limiting the number of communicating civilization into a small fraction of the number of stars in the Milky Way. The 2010 updates yield N 3600. Such number actually involves a lot of uncertainty. But as someone points out: "The Drake Equation's biggest contribution is in framing the discussion rather than providing an absolute answer"
Since the dawn of history, sentient beings have been pondering if there is anybody out there (Figure 09-19f). The search has become more sophisticated by the 21th century. SETI currently uses the multichannel spectral analyzer to scan the sky for radio signal from the "advanced civilization". It also runs a project, which uses programs executing as screensavers on millions of personal computers worldwide to sift through signals picked up by the Arecibo radio telescope. The search is now supplemented by the Allen Telescope Array in Northern California. 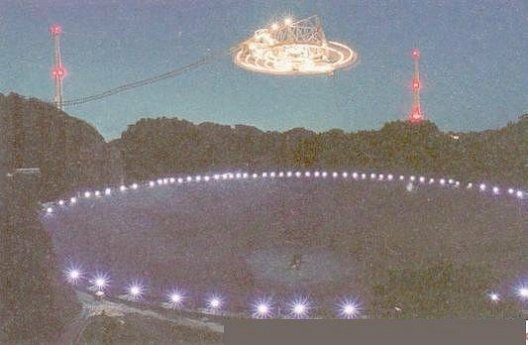 The array will eventually consist of 350 dishes (by 2011), each 6 meters in diameter, which can be used to listen for signals from several stars in many different radio bands simultaneously. 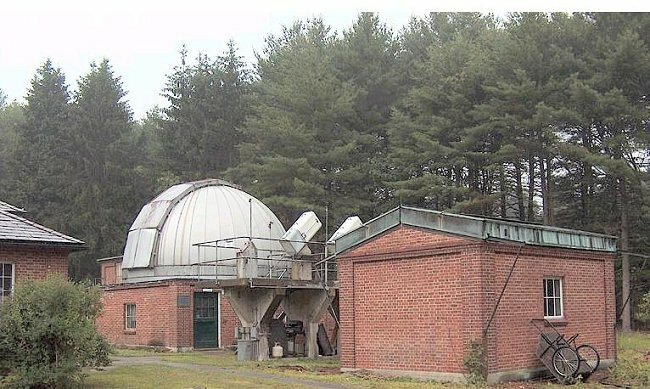 Meanwhile, a privately funded (by the Planetary Society) 180 cm telescope has been installed at the Oak Ridge Observatory to look for flashes of laser beacons from alien civilizations. The instrument will record flashes briefer than a nanosecond because no known natural process would produce such flashes. 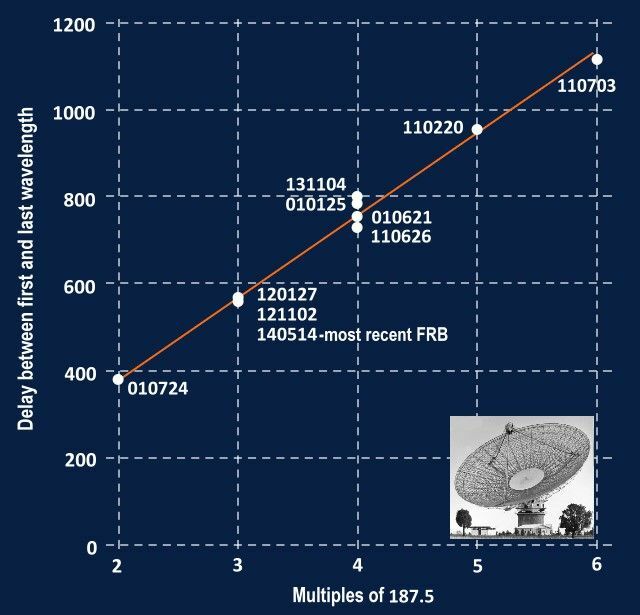 The Allen telescope array (Figure 09-19d) began operations in 2007 with just 42 antennas (out of the proposed 350 dishes). It fell victim to the budget cut in 2008. 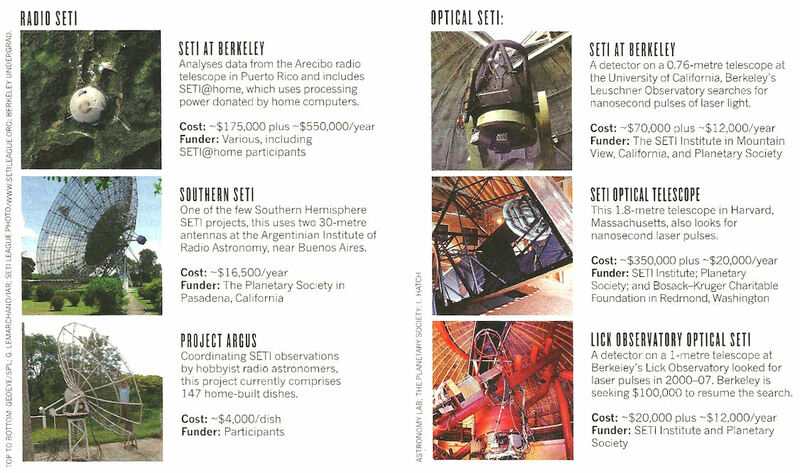 The project managed to limp along for a few years until 22 April 2011 when the SETI Institute and the University of California (at Berkeley) were forced to terminate funding of the $2.5 million annual operating costs. 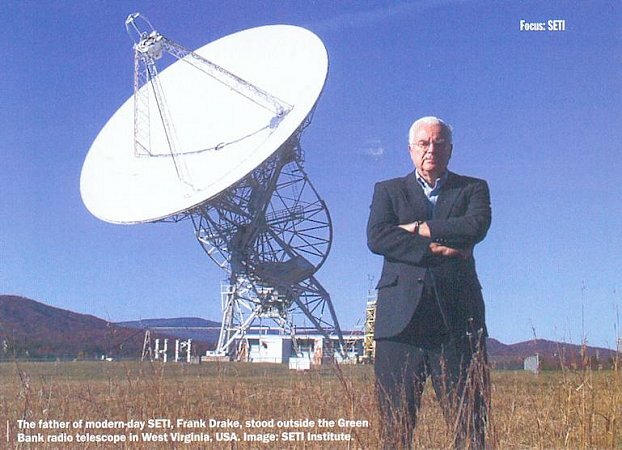 In spite of public misunderstanding about the usefulness of searching for ET, smaller and cheaper SETI searches are still running around the world. 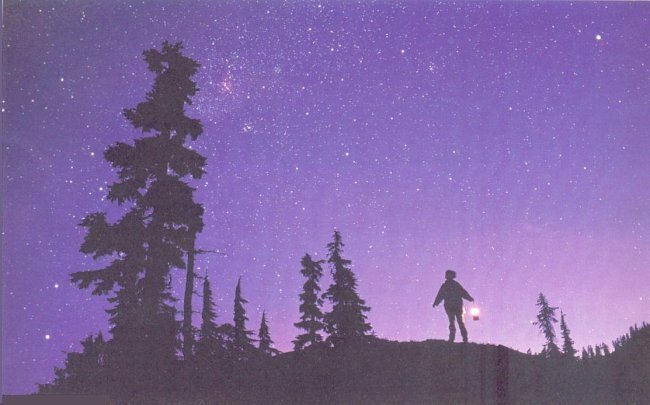 Some are seeking alien radio beacons, others are looking for the flicker of interstellar communication lasers. There are projects looking at specific stars that seem likely to host Earth-like planets; others are doing a less sensitive but broader scan of the entire sky in the hope of catching signals of a type not yet conceived. Figure 09-19e shows the various small scale SETI projects with annual operating cost and Funding agent. Thanks to the 2300 individual donations (including contribution from Jodie Foster of the 1997 movie Contact) for a total of $206,000 in early August 2011, the Allen Telescope Array may be able to hang on to its dear life if the USAF accepts the offer of using the facility to track space debris around the Earth. This is just one facet to reveal a once great power in decline. Other scientific projects such as the JWST (replacement for the HST) are also in danger of cancellation. The "debt ceiling" debacle threatens more cuts in funding things of science. 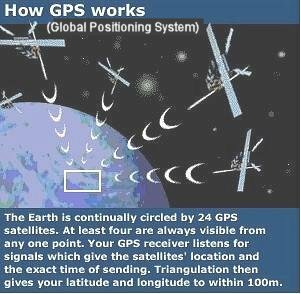 In the summer of 2004, a flurry of reports in the media indicate that radio signals (at 1420 megahertz = the hyperfine transition frequency of the hydrogen atom) have been detected three times from a point between the constellations Pisces and Aries. The transmission is very weak and shifting rapidly in frequency. It is pointed out that such drifting of frequency is too rapid to be produced by the rotation of planet and three occasions of detection is not statistically significant. The signals could be generated by a previously unknown astronomical phenomenon, or it could be something much more mundane, maybe an artefact of the telescope itself. Followings are some suggestions related to the puzzle of "where are they?" It could be that primitive life may be common in the universe, but intelligent life is exceeding rare. We may be the very few that have advanced to a state where travelling in space is a possibility. Another theory suggests that many plantets harbouring technologically advanced extraterrestrials exist, but space travel has fundamental limitations or inhereent dangers that we have not yet experienced. In this case, everybody is staying near home. An alternate explanation about advanced extraterrestrials claims that they don't want to interfere with our development or they just don't have interest in us. 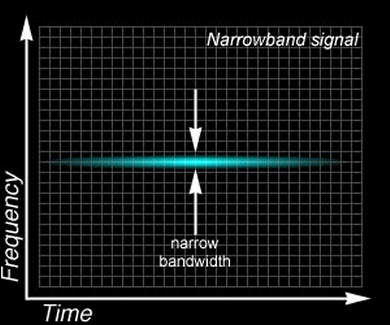 The absence of radio contact may be related to the fact that artificial signals are inherently weak. It is very difficult to detect. If we have ever received anomalous signal from outer space, we still have to uncover the nature of its origin. enough to be unambiguously identified as originating from an extraterrestrial intelligence. Optical SETI (OSETI) programs must detect a laser signal against the glare of ET's star. The best way for a laser to outshine a star is to do so very quickly, in a very short pulse lasting less than a billionth of a second. OSETI programs thus measure the light from a star in nanosecond intervals looking for a slight, brief excess of photons that could originate from a powerful pulsed laser. 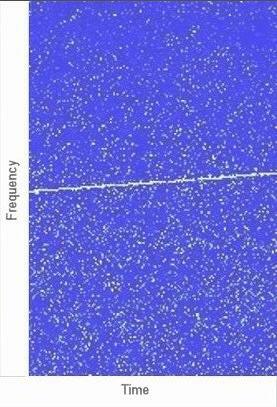 The Zipf Plot - Once an ET signal is detected, then the hunt for patterns will begin. The Zipf Plot counts the number of times different element of a language (such as letters, words, or characters) appearing in a text and logarithmically plots the frequency of occurrence of these elements in descending order. 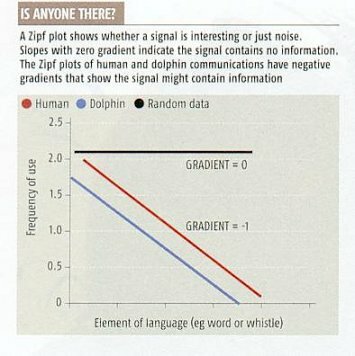 The resulting slope would have a gradient of "-1" (see Figure 09-21) for English, Chinese as well as most other languages and dolphin whistles. A "-1" slope is a sign of optimized communications: it is more efficient because elements that occur frequently (such as "a" and "the" in English) are coded to be shorter than those that are used less often. For an entirely random string of letters that contained no encoded information, the slope would be flat, or zero, because every letter occurs equally often. 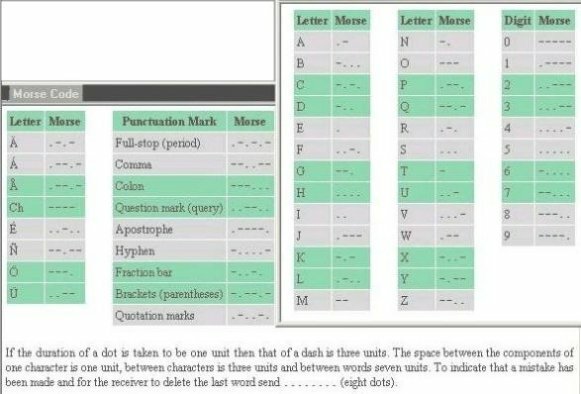 If Morse code is analysed one dot or dash at a time, the line on the Zipf plot is almost flat. At first glance, this would not seem like a promising signal. But if the dots and dashes are taken two at a time, the slope goes up. When dots and dashes are examined in groups of four, the slope approaches "-1". Entropy Order - This is a concept from the information theory developed by Claude Shannon to measure the complexity of a communication system. Zero-order entropy measures the diversity of the communicative repertoire - how many different types of elements (letters, words, whistles and so forth) make up the signal. In written English, for example, everything can be represented by 27 characters - 26 letters and a space. The entropy value is the logarithmic value (base 2) of the number of elements. The higher entropy levels, second order and up, relate to the notion of "conditional probabilities": the probability of predicting the next element in the series. If, for instance, you know the first and second words of a phrase, the third-order entropy tells you (in logarithmic form) the odds of guessing the third word correctly. 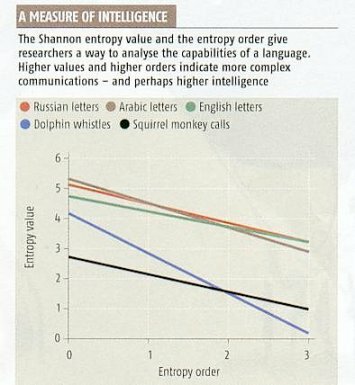 Analyses of English and Russian suggest that these languages show evidence of 8th or 9th-order Shannon entropy. Figure 09-22 shows some examples, which relate more complex communications with higher entropy values and higher entropy orders. attributed to Extra-Terrestrial Intelligence. According to the Optical Dispersion formula, these data points are the manifestions of either the spread of wavelength or variation of optical path length in integer steps. BTW, The numerals associated with the data points in Figure 09-23a are in the format yymmdd. News in May 09, 2015 reports that the strange signals were actually originated from a microwave oven in the facility's break room. This is bad news for people who are longing for contact with "Extra-Terrestrial Intelligence". The good news is that integrity is preserved in modern day scientists. 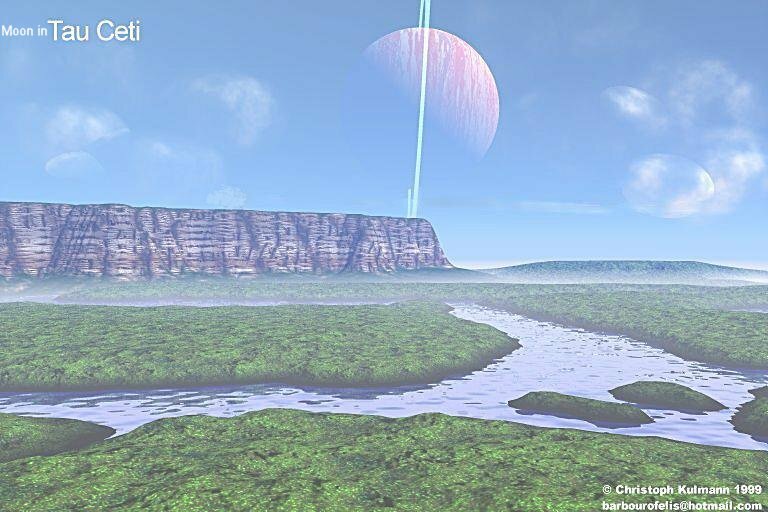 such a large moon of Tau Ceti's giant planet would not be substantially different from our own. Depending on the parent planet's orbital radius, this world might see the whole range of conditions from the greenhouse of the Mesozoic to the great ice ages of the Pleistocene. Advanced forms of life, even sentient beings, are not excluded. 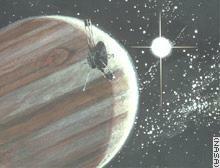 Figure 09-23b is an artist's rendering of a hypothetical moon in Tau Ceti. 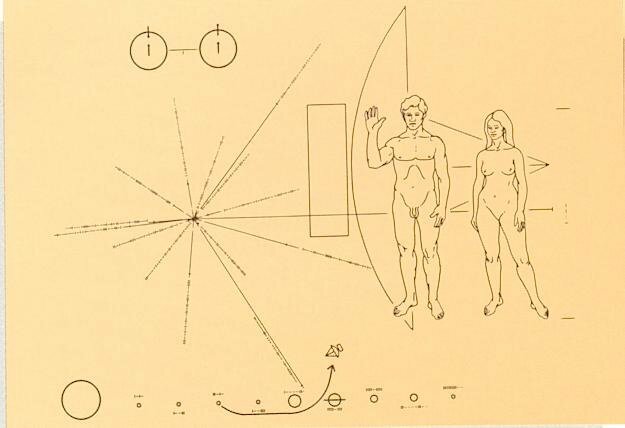 an "average" man and an "average" woman standing before an outline of the spacecraft. a diagram showing the hyperfine transition of neutral hydrogen (spin flip of the electrons). a map locating the position of the Sun relative to 14 pulsars and the center of the Galaxy. some symbols representing the binary equivalent of decimal 8.
all the planets in the Solar System with distance to the Sun in binary digits. 2 million years. So far no "alien" or "advanced civilization" has yet seen the plaque. The last signal was received on January 22, 2003.